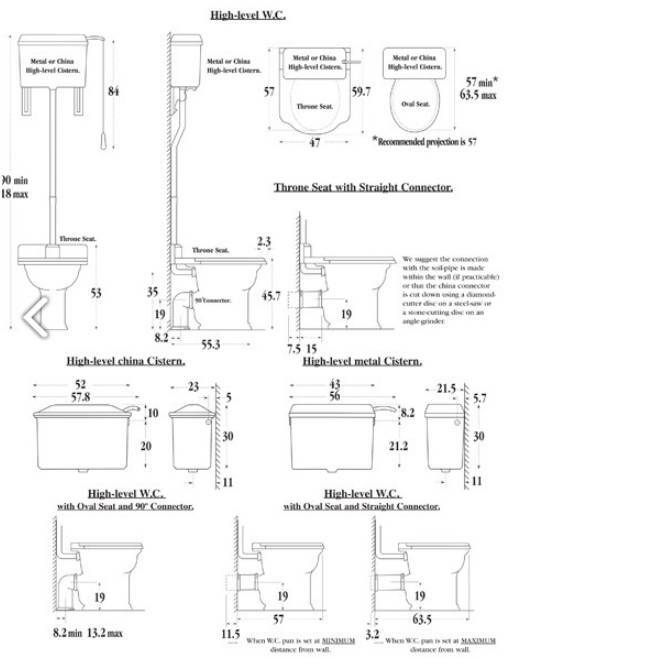 Toilet with high level cistern and a throne seat. 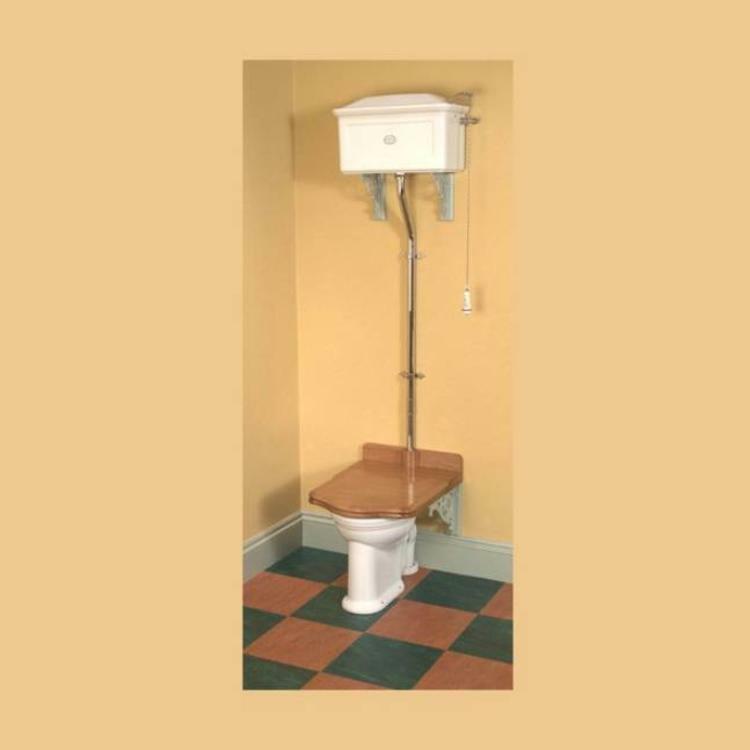 Replica and an antique toilet with a decoration on the rim. Thomas Crapper toilet with a throne seat and high level china cistern. The best replica of the antique toilets with a toilet seat on brackets. 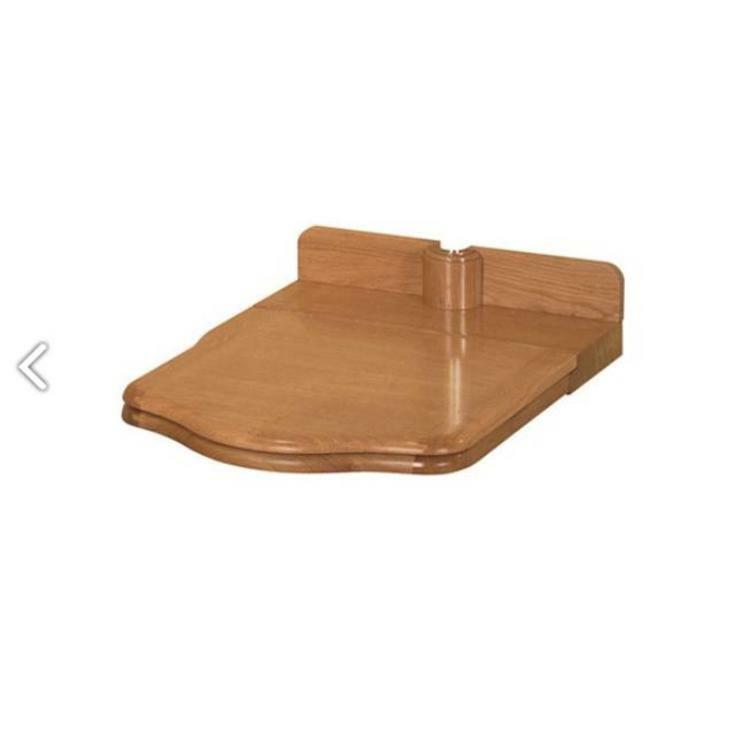 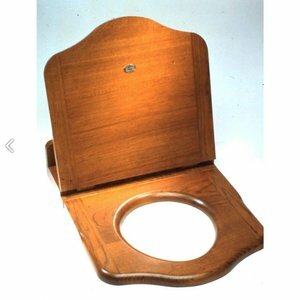 This toilet comes with a throne seat in oak or mahogany. The cistern is made out of porcelain. 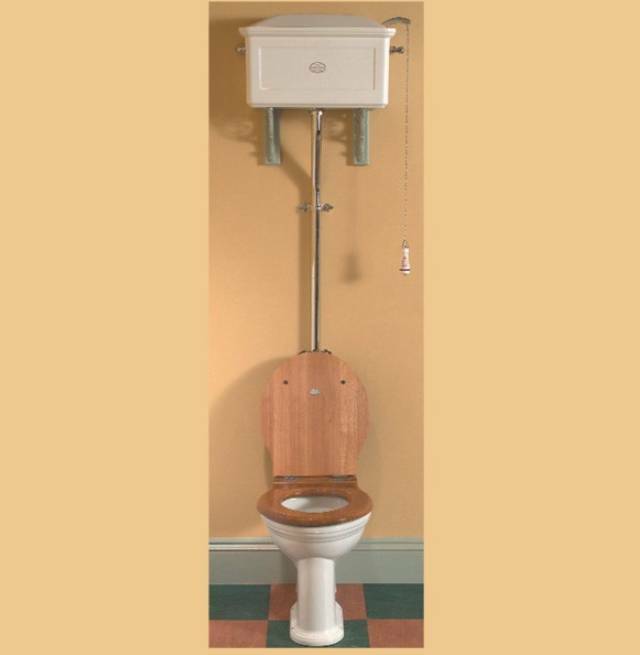 The toilet has a decoration on the rim. 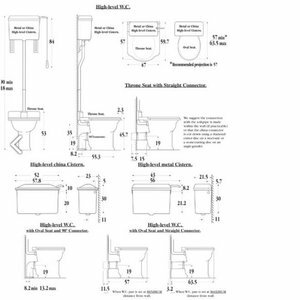 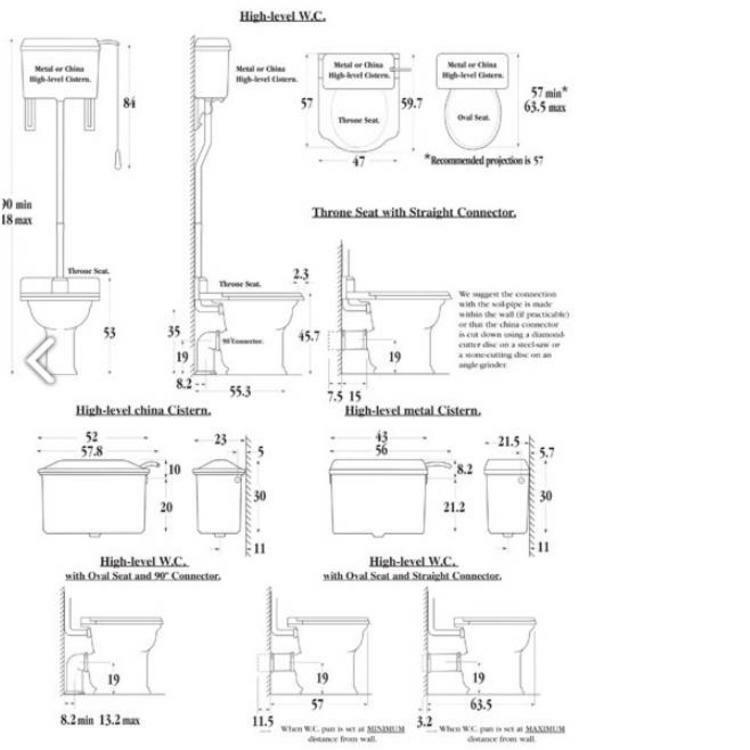 The indicated price is for the complete set; toilet, flush pipe, toilet seat, cistern, brackets and cistern pull. This article has to be specially ordered and made.